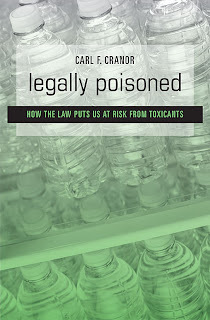 The Page 99 Test: Carl F. Cranor's "Legally Poisoned"
Carl F. Cranor is Distinguished Professor of Philosophy and member of the faculty Environmental Toxicology Graduate Program at the University of California, Riverside. Legally Poisoned addresses the contamination of the public with industrial chemicals, pesticides and other substances, many toxic; health consequences that can result (revealed by research called “the developmental origins of disease”); and the implications for protecting the public. Because we are all contaminated and because our children from the moment of conception forward are both contaminated and much more susceptible to diseases and dysfunctions than adults from toxic insults, the only way to protect them from toxicants is to try to screen out the toxicants before they enter our bodies. Existing law permits this contamination, putting them at risk; it also holds the solution. We will need legally required testing for industrial chemicals before they enter commerce and subsequently contaminate our bodies. This change must be made if we wish to protect our children from toxicant-induced diseases that can arise during development. 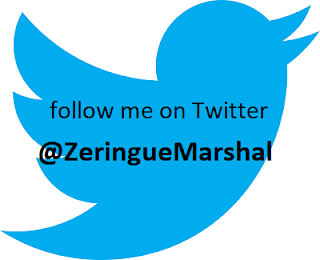 Page 99 is in the chapter “Caveat Parens”--“parent beware” partway through a discussion of the biology and toxicology of various diseases that arise from contamination in the womb or immediately postnatally. It is the core of the book. Scientists trace some diseases or their predispositions to early life exposures, often to “epigenetic influences” on the genome that change its functioning. Developing children tend to have greater exposures in utero and in early childhood than adults. Their organ systems are more sensitive to toxicants than adults’. They have lesser defenses and more years of future life for diseases to develop. Genetic variability can add to the susceptibility. Lead, mercury, diethylstilbestrol (DES), thalidomide, pesticides, anti-convulsive drugs, sedatives, arsenic, tobacco smoke, alcohol and radiation, among others, are known developmental toxicants. Other human neurotoxicants add to the list. These contaminations can result in cancers, neurological problems, reproductive dysfunctions, behavioral control problems, heart disease, obesity, strokes, and predispositions to Parkinson’s disease and dementia. Experimental animal studies point to more worrisome contaminants, including brominated fire retardants, bisphenol A, phthalates, additional pesticides and cosmetic ingredients. Specifically page 99 closes the discussion of the sensitivity of developing organ systems to toxicants and begins consideration of problems posed by genetic variability. The following three chapters discuss the legal implications of the science. tardants or the pesticide chlorpyrifos, these compounds would more easily penetrate their skin than that of adults. The ability of the body’s blood proteins to bind to toxicants and assist in their elimination is lower in newborns than in adults. Trichloroacetic acid (TCA) is a breakdown product of trichloroethylene (TCE), a common solvent and degreaser, probable human carcinogen, and suspected neurotoxicant. TCA seems to be less able to bind to blood proteins and to be eliminated from the bodies of newborns than from adults. Thus, Miller and others report, TCA would have “greater potential for toxicity” because it remains in the body longer. TCE, a common contaminant, is in the drinking water that infants and young children ingest, in principle they would seem to be at greater risk than would adults. The kidneys have an important function in eliminating toxicants and other waste from the body. The more slowly risky substances are eliminated from the body, the longer time they have to contribute to disease or dysfunction. Studies conducted on a large body of drugs found that a majority of them are eliminated more slowly by neonates and newborn infants than by adults. This research also found that methylmercury has a longer half-life in neonates than in adults. Not all aspects of children’s defenses or sensitivity to toxicants are more worrisome than those of adults, however. Children can tolerate some pharmaceuticals better. Children also have some repair mechanisms that are more effective than adults’ (and these would provide better defenses to toxicants than adults’ would). Also, as noted above, since children’s enzyme system may not be as well developed as adults’ for substances that require enzymes to increase their toxicity, children are better protected. Up to this point we have considered general or typical biological tendencies in developing mammals in utero, as neonates, or as youngsters. However, individual people can be more or less susceptible to toxic effects as a result of genetic variability and diversity. For example, Frederica Perera and others found that environmental exposures to polycyclic aromatic hydrocarbons (PAH), including those from sidestream and secondhand tobacco smoke, cross the placenta and create adducts on DNA. When a substance forms adducts on DNA, it is bound to the DNA, altering its function and often causing mutations or incorrect repair, which lead to cancers or other diseases. Learn more about Legally Poisoned at the Harvard University Press website.